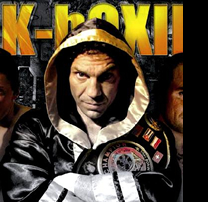 JORGE ” ACERO ” CALI READY FOR WORLD TITLE DEFENSE ! Current WKN World champion Jorge ” ACERO ” CALI , signs today with WKN World office the final contrat for WORLD championship defense. This promotion will be organised on 24 of OCTOBER 2008 in famous Luna park venue by MEGABOXING Promotion and will be broadcast LIVE on FOX SPORT . The Challenger will be anounced soon . The CARIBBEAN super star , Loris ” BLADE ” AUDOUI will also be in the fightcard .